A tragic accident left an Oregon pedestrian dead recently. Law enforcement officers reported to the scene of an accident and found the victim lying in the middle of the road. Statesman Journal indicated that law enforcement officers determined the victim had been hit by a car and the driver of the car had left the scene of the crash. Police were asking anyone with information to contact law enforcement to provide details. Law enforcement officers also asked for local repair shops to keep an eye out for cars which had unexplained vehicle damage. Pedestrian accidents which cause fatalities are always tragic and damaging for family members the victim left behind. Unfortunately, in cases where a hit-and-run occurred, the losses suffered by the family may be especially severe. This is because while most crash victims and their families can pursue a claim against the driver who caused the death, it is not possible to do this in a hit-and-run unless the driver can be found. 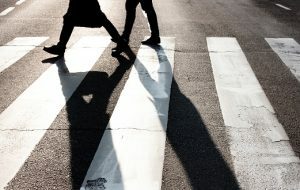 When hit-and-run pedestrian accidents occur, locating the driver responsible for the accident is a top priority, especially if the accident is a fatal one. Drivers are required to stay at the scene to provide identifying information and talk with law enforcement officers who respond to the crash. It is a crime for motorists not to stop, and police will seek community help in identifying the hit-and-run driver, as they have done in this case. If the pedestrian survives the accident, they should try to provide as much information as possible to the police to help law enforcement officers find the driver who was involved. This could include a description of the car and any partial or full license plate numbers. Unfortunately, if the victim is deceased, as in this case, law enforcement often has limited evidence to go on to find hit and run drivers. Still, it may be possible for the driver to be identified. If the driver who caused the hit-and-run pedestrian accident is found, family members of the deceased can potentially make a wrongful death claim. If a victim survives but suffers serious injury, the victim could also pursue a personal injury lawsuit. The victim would need to be able to show the driver who was identified as leaving the scene of the crash was, in fact, the motorist who caused the accident to occur. If the hit-and-run driver is never found, it may be possible for pedestrian accident victims or their families to try to recover at least some compensation from the victim’s auto insurer. Oregon law requires extensive insurance coverage, including personal injury protection (PIP), uninsured motorist coverage, and uninsured motorist coverage. Insurance can provide some compensation to victims and their families when a hit-and-run driver is not identified.